01. 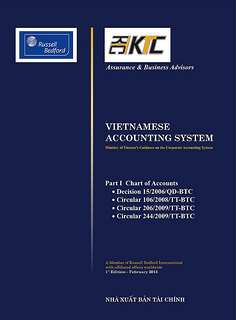 This standard aims to prescribe and guide the principles and methods of accounting intangible fixed assets, including: criteria of intangible fixed assets, time of recognition and determination of the initial value, costs incurred after initial recognition, determination of the value after initial recognition, depreciation, liquidation of intangible fixed assets and some other regulations serving as basis for recording accounting books and making financial statements. 02. This standard applies to the accounting of intangible fixed assets, except where other standards permit the application of other accounting principles and methods to intangible fixed assets. 03. A number of intangible fixed assets may be contained within or on physical objects like compact discs (in cases where computer software is recorded in compact discs), legal documents (in cases of licenses or invention patents). In order to determine whether or not an asset containing both intangible and tangible elements is accounted according to the regulations of the tangible fixed asset standard or intangible fixed asset standard, the enterprises must base themselves on the determination of which elements being important. For example, if computer software is an integral part of the hardware of a computer, without it the computer cannot operate, such software is a part of the computer and thus it is considered a part of tangible fixed asset. In cases where software is a part detachable from the related hardware, it is an intangible fixed asset. 04. This standard prescribes the expenses related to the advertisement, personnel training, enterprise establishment, research and development. Research and development activities oriented at the knowledge development may create an asset in a physical form (i.e. models) but the physical element only plays a secondary role as compared with the intangible component being knowledge embedded in such asset. 05. Once the financial-leasing intangible fixed assets have been initially recognized, the lessees must account them in the finance-leasing contracts according to this standard. The rights under licensing contracts to films, video programs, plays, manuscripts, patents and copyright shall fall within the scope of this standard. b/ expected to yield future economic benefits for the enterprise. Intangible fixed assets mean assets which have no physical form but the value of which can be determined and which are held and used by the enterprises in their production, business, service provision or leased to other subjects in conformity with the recognition criteria of intangible fixed assets. Research means a planned initial survey activity carried out to obtain new scientific or technical understanding and knowledge. Development means an activity of applying research results or scientific knowledge to a plan or design so as to make products of a new kind or to substantially renovate materials, tools, products, processes, systems or new services before their commercial production or use. Historical cost means all costs incurred by the enterprises to acquire intangible fixed assets as of the time of putting these assets into use as expected. Depreciation means the systematic allocation of the depreciable value of intangible asset throughout their useful life. Depreciable value means the historical cost of an intangible asset recorded in the financial statement minus (-) the estimated liquidation value of the asset. b/ The quantity of products, or similar calculating units which the enterprise expects to obtain from the use of the assets. Liquidation value means the value estimated to be acquired upon the expiry of the useful life of an asset, after subtracting (-) the estimated liquidation cost. Residual value means the historical value of an intangible fixed asset after subtracting (-) the accumulated depreciation of the asset. Reasonable value means the value of assets which may be exchanged between the knowledgeable parties in the par value exchange. c/ Prices are made public. 08. In order to determine whether or not intangible resources specified in paragraph 07 meet the definition of an intangible fixed asset, the following factors shall be considered: Identifiability, resource controllability and certainty of future economic benefits. If an intangible resource fails to satisfy the intangible fixed asset definition, the costs incurred in the formation of such intangible resource must be recognized as production and business expenses in the period or as pre-paid expenses. Particularly for those intangible resources the enterprises have acquired through enterprise merger of re-purchase character, they shall be recognized as goodwill on the date of arising of the purchase operation (under the regulations in paragraph 46). 09. Intangible fixed assets must be separately identifiable so that they can be clearly distinguished from goodwill. Goodwill arising from the enterprise merger of re-purchase character is shown with a payment made by the asset purchaser in order so as to possibly obtain future economic benefits. 10. An intangible fixed asset is considered identifiable when the enterprises may lease, sell or exchange it or acquire concrete future economic benefits therefrom. Those assets which can only generate future economic benefits when combined with other assets shall be still seen as separately identifiable if the enterprises can determine with certainty future economic benefits to be brought about by such assets. 11. An enterprise is in control of an asset if it has the right to acquire future economic benefits yielded by such asset and, at the same time, is able to limit other subjects' access to these benefits. The enterprise's controllability of future economic benefits from intangible fixed assets, often derives from legal rights. 12. Market knowledge and expertise may bring about future economic benefits. The enterprise may control these benefits if they have legal right, for example: Copyright, aquatic resource exploitation permit. 13. If an enterprise has a contingent of skilled employees and through training, it may ascertain that improvement of their employees' knowledge would bring about future economic benefits, but it is unable to control these economic benefits, therefore the enterprise cannot recognize such as an intangible fixed asset. Leadership talent and professional techniques shall not be recognized as intangible fixed assets except where these assets are secured with legal rights to use them and acquire future economic benefits and, at the same time, meet all the requirements of the intangible fixed asset definition and recognition criteria. 14. For enterprises which have customers' name lists or market shares, if they have neither legal rights nor other measures to protect or control economic benefits from the relations with customers and their loyalty, they must not recognize these as intangible fixed assets. 15. Future economic benefits yielded by intangible fixed assets for the enterprises may include: Turnover increase, saved costs, or other benefits originating from the use of intangible fixed assets. All value criteria prescribed by current regulations are met. 17. The enterprises must determine the degree of certainty to acquire future economic benefits through using reasonable and grounded assumptions on the economic conditions which will exist throughout the useful life of the assets. 18. Intangible fixed assets must have their initial value determined according to their historical cost. 19. The historical cost of a separately-purchased intangible fixed asset consists of the buying price (minus (-) trade discounts or price reductions), taxes (excluding reimbursed tax amounts) and expenses directly related to the putting of the asset into use as planned. 20. Where the land use right is purchased together with houses and architectural objects affixed on the land, its value must be separately determined and recognized as intangible fixed asset. 22. If an intangible fixed asset is formed from the exchange involving payment accompanied with vouchers related to the capital ownership of the establishment, its historical cost is the reasonable value of vouchers issued in relation to capital ownership. 23. The historical cost of an intangible fixed asset formed from the process of enterprise merger of re-purchase character is the reasonable value of such asset on the date of purchase (the date of enterprise merger). 24. The enterprises must determine the historical cost of intangible fixed assets in a reliable way for separate recognition of these assets. - The price of the operation of trading in similar intangible fixed assets. 25. If the operating market for assets does not exist, the historical costs of intangible fixed assets shall be equal to the amounts the enterprises should have paid on the date of purchase of the fixed assets under the condition that such operation is carried out objectively on the basis of available reliable information. In this case, the enterprises should consider carefully the results of these operations in correlation with similar assets. b/ If an intangible asset is purchased through enterprise merger of re-purchase character but its historical cost cannot be determined reliably, the asset shall not be recognized as a separate intangible fixed asset but accounted as goodwill (under the regulations in paragraph 46). 27. Where no operating market exists for intangible fixed assets purchased through enterprise merger of re-purchase character, the historical cost of intangible fixed assets shall be the value at which they do not create negative-value goodwill which arises on the date of enterprise merger. 28. The historical cost of an intangible fixed asset is the right to use land for a definite term when the land is allocated or the payment made when receiving the land use right lawfully transferred from other persons, or the land use right value contributed to joint-venture capital. 29. Where the land use right is transferred together with the purchase of houses and/or architectural objects on the land, the value of houses and/or architectural objects must be determined separately and recognized as tangible fixed assets. 30. The historical cost of an intangible fixed asset which is allocated by the State, donated or presented, is determined according to the initial reasonable value plus (+) the expenses directly related to the putting of the assets into use as planned. 31. The historical cost of an intangible fixed asset purchased in the form of exchange for a dissimilar intangible or another asset is determined according to the reasonable value of the received intangible fixed asset or equal to the reasonable value of the exchanged asset, after adjusting the cash amounts or cash equivalents additionally received or paid. 32. The historical cost of an intangible fixed asset purchased in the form of exchange for a similar intangible fixed one, or possibly formed through its sale in exchange for the right to own a similar assets (similar asset are those with similar utilities, in the same business field and of equivalent value). In both cases, no profit or loss is recognized in the exchange process. The historical cost of the received intangible fixed asset is equal to the residual value of the exchanged intangible fixed asset. 33. Goodwill created from within the enterprises shall not be recognized as assets. 34. Costs incurred to generate future economic benefits but not form intangible fixed assets because they fail to satisfy the definition and recognition criteria in this standard but to create goodwill within the enterprises. The goodwill created within the enterprises shall not be recognized as assets since they are not identifiable resources, nor appraisable in a reliable way nor controllable by the enterprises. 35. The difference between the market value of an enterprise and the value of its net asset value recorded on the financial statement, which is determined at a certain point of time, shall not be recognized as an intangible fixed asset controlled by the enterprise. 37. If the enterprise cannot distinguish the research stage from the development stage of an internal intangible asset-creating project, it must account all incurred costs related to such project as expenses so as to determine the business results in the period. 38. All costs incurred in the research stage shall not be recognized as intangible fixed assets but as production and business expenses in the period. d/ Formulas, designs, evaluation and final selection of alternative methods for materials, tools, products, processes, systems, services, new or further improved. g/ They are estimated to meet all criteria for use duration and value prescribed for intangible fixed assets. d/ Designing, developing and manufacturing on a trial basis substitute materials, tools, products, processes, systems and services, new or improved. 42. Trademarks, distribution right, customers' name list and similar items formed from within the enterprises shall not be recognized as intangible fixed assets. 43. Intangible fixed assets created from within the enterprises shall be initially appraised according to their historical costs consisting of all costs incurred from the time the intangible assets satisfy the intangible fixed asset definition and recognition criteria prescribed in paragraphs 16, 17 and 40 until they are put into use. The costs incurred before this point of time must be included in production and business expenses in the period. 44. The historical cost of an intangible fixed asset created from within an enterprise consists of all directly related expenses or allocated according to rational and consistent norms at all stages from designing, construction, trial production to preparation for putting the asset into use as planned. d/ General production costs allocated into the asset according to rational and consistent norms (for example: allocation of the depreciation of workshops, machinery, equipment, insurance premiums, and rents of workshops and equipment). c/ Cost of training of employees to operate the assets. a/ Costs of creating part of the historical cost of an intangible fixed asset satisfying the intangible fixed asset definition and recognition criteria (prescribed from paragraph 16 to 44). b/ Intangible assets formed from the process of enterprise merger of re-purchase character, which fail to satisfy the intangible fixed asset definition and recognition criteria, these costs (included in the asset re-purchase expenses) shall form part of the goodwill (including cases where goodwill bear a negative value) on the date of decision of enterprise merger. 47. Those costs incurred to yield future economic benefits for the enterprises but not recognized as intangible fixed assets, shall be recognized as production and business expenses in the period, excluding those costs specified in paragraph 48. 48. Those costs incurred to generate future economic benefits for the enterprises, including enterprise establishment cost, personnel-training cost and advertising cost incurred before the newly-set up enterprises start to operate, costs for the research stage, relocation cost, shall be recognized as production and business expenses in the period or gradually allocated into production and business expenses in the maximum period of three years. 49. Costs related to intangible assets, which have been recognized by the enterprises as costs of determining the business operation results in the previous period, shall not be re-recognized as part of the historical cost of intangible fixed assets. b/ These costs are appraised in a certain way and associated with a specific intangible asset. 51. Those costs which are related to intangible fixed assets and incurred after initial recognition shall be recognized as production and business expenses in the period, except when these costs are associated with a specific intangible fixed asset and help increase economic benefits from such asset. 52. Those costs which are incurred after the initial recognition and related to trademarks, distribution right, customers' name list and items of similar nature (including those purchased from outside or created from within the enterprise) shall be always recognized as production and business expenses in the period. 53. After initial recognition, in their use process, the intangible fixed assets shall be determined according to their historical cost, accumulated depreciation and residual value. 54. The depreciable value of an intangible fixed asset must be systematically allocated throughout its estimated reasonable useful life. The depreciation period of an intangible asset shall not exceed 20 years. Depreciation shall start from the time the intangible fixed asset is put into use. b/ The life circle of products and general information on the estimates related to the useful life of identical types of fixed assets which are used under similar conditions. h/ The dependence of the useful life of the intangible fixed asset on other assets in the enterprise. 56. For computer software and other intangible fixed assets which may become technically obsolete rapidly, their useful life is often shorter. b/ Justify the reasons for the estimation of the assets' useful life in the financial statements. 58. If the control of future economic benefits from intangible fixed assets is made possible by virtue of legal rights granted within a given period, the useful life of the intangible fixed assets shall not exceed the effective time of the legal rights, except when such rights are extended. 59. Economic and legal factors affecting the useful life of intangible fixed assets include: (1) Economic factors decisive to the period in which future economic benefits are obtained; (2) Legal factors restricting the period during which the enterprise controls these economic benefits. The useful life is a period shorter than the above-said periods. 60. The depreciation methods applicable to intangible fixed assets must reflect the mode of recovering economic benefits from such intangible fixed assets of the enterprises. The depreciation method used for each intangible fixed asset shall apply uniformly in many periods and may be changed when there appears a significant change in the enterprise's mode of recovering economic benefits. The depreciation cost for each period must be recognized as a production and business expense, unless it is included in the value of other assets. By to the straight-line depreciation method, the annual depreciated amount is kept unchanged throughout the intangible fixed asset's useful life. According to the declining-balance method, the annual depreciated amount gradually declines throughout the asset's useful life. The units-of-output method is based on the estimated total quantity of products the asset will create. b/ There is an operating market at the end of the asset's useful life and the liquidation value may be identified through the market price. When none of the above-mentioned two conditions exists, the liquidation value of an intangible fixed asset is determined as zero (0). 63. The depreciable value is determined as equal to the historical cost minus (-) the estimated liquidation value of the asset. 64. The liquidation value is estimated when an intangible fixed asset is created and put into use on the basis of the prevailing selling price at the end of the useful life of a similar asset which has been operating under similar conditions. The estimated liquidation value shall not rise when there appear changes in price or value. 65. The period and methods of depreciation of intangible fixed assets must be reconsidered at least at the end of every fiscal year. If the estimated useful life of an asset sees a big difference from the previous estimates, the depreciation period must be modified accordingly. The method of depreciation of intangible fixed assets may be changed when there emerges a significant change in the way of estimating the economic benefits recoverable for the enterprises. In this case, the depreciation cost in the current year and subsequent years must be adjusted, which must be justified in the financial statements. 66. Throughout the time of using intangible fixed assets when it is deemed that the estimated useful life of an asset is no longer suitable, the depreciation period must be adjusted. For example, the useful life may prolong as a result of more investment in raising the asset's capability as compared with the original operating capability appraisal. 67. Throughout the useful life of intangible fixed assets, the way of estimating future economic benefits which the enterprises expect to obtain may be changed, and so the method of depreciation need to be changed accordingly. For example, the declining balance depreciation method proves more suitable than the straight-line depreciation method. 68. Intangible fixed assets shall be recorded as decrease when they are liquidated, sold or deemed to generate no economic benefits in subsequent use. 69. Profits or losses arising from the liquidation or sale of intangible fixed assets shall be the difference between incomes and liquidation or sale costs plus (+) the residual value of the intangible assets. Such profits or losses shall be recognized as an income or a cost on the in the business result report in the period. Reasons for an intangible fixed asset to be depreciated in over 20 years (when giving these reasons, the enterprises must point out the important factors in the determination of the useful life of the asset). Other changes concerning intangible fixed assets. h/ Intangible fixed assets being developed.